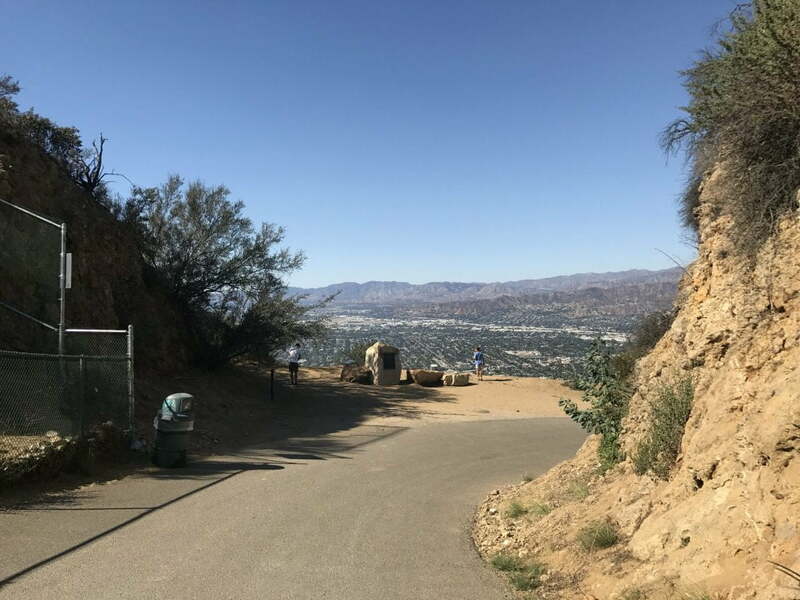 A behind-the-scenes look at one of the most iconic hikes in all of Los Angeles – the famous Wisdom Tree and Hollywood Sign hike. 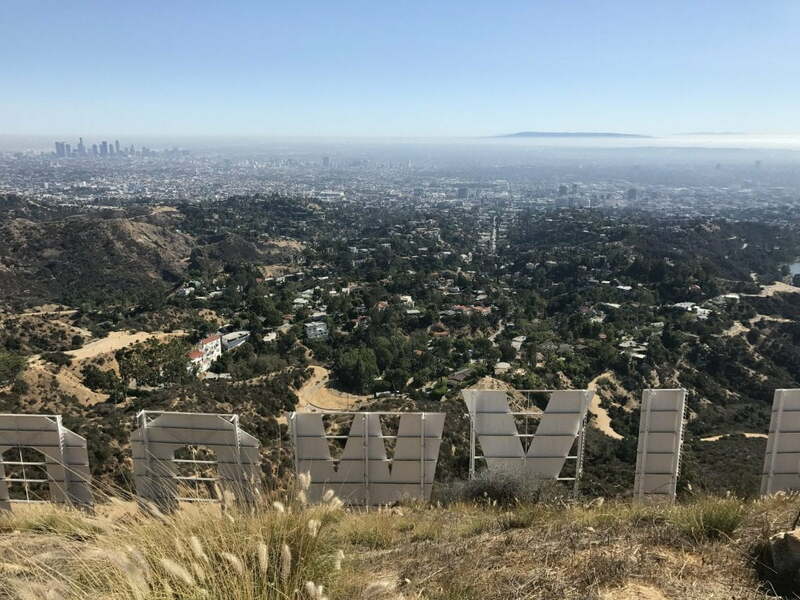 Weather for LA – Check the weather before you hike to the hollywood sign. 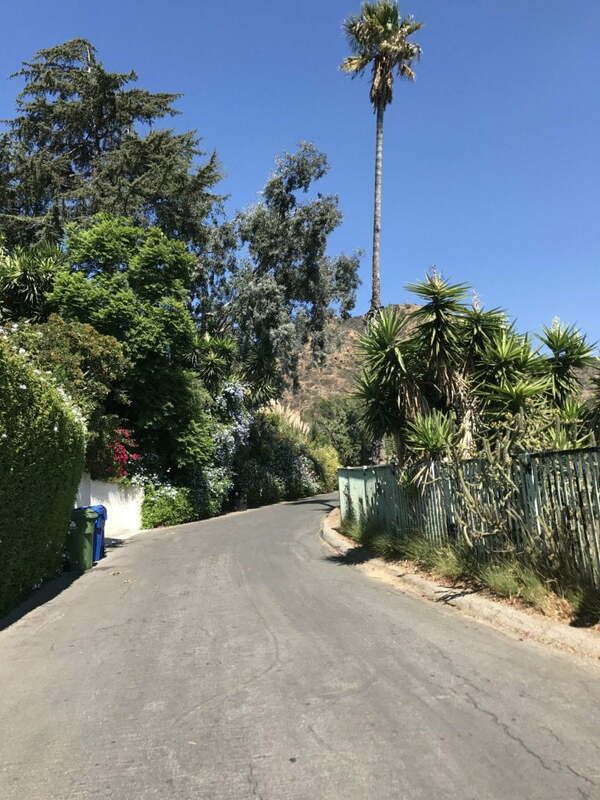 Street Parking is reported at Lake Hollywood Drive and Wonder Drive. You will need to walk up to the trailhead from this intersection. 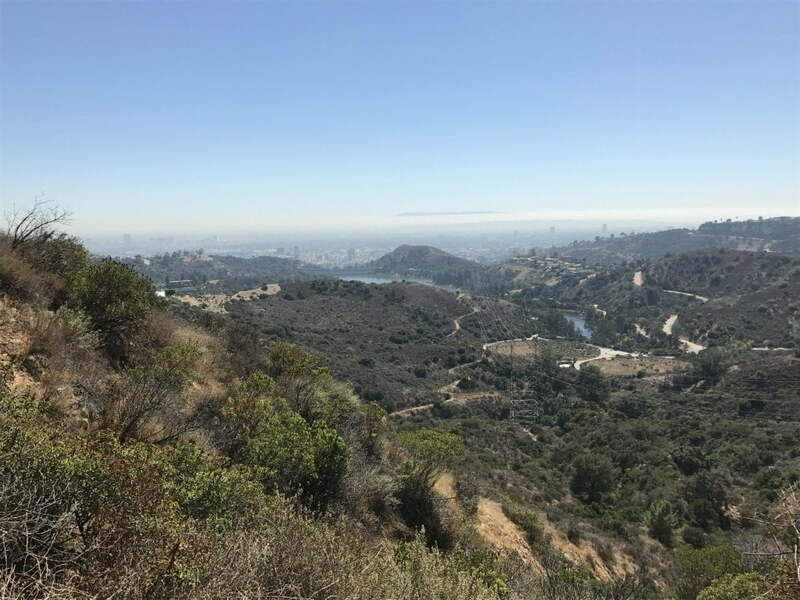 Hollywood Sign Webcam – Check out the weather/view on these webcams before you head out to hike the Hollywood sign or hike to the wisdom tree. 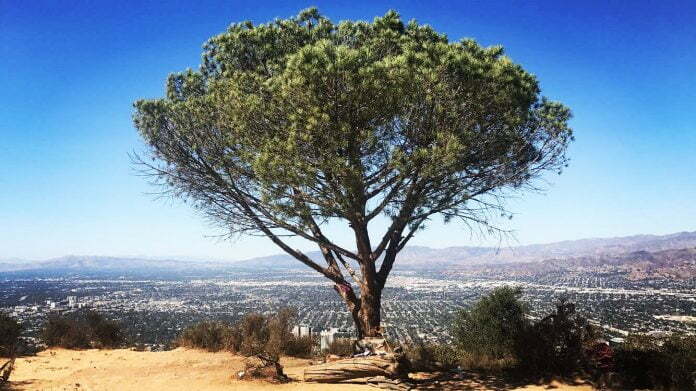 I’ve heard tales of the rumored “Wisdom Tree” behind Griffith Park, and how difficult of a climb it is to see it. Supposedly, the Wisdom Tree is the sole survivor of a 2007 fire within the grounds of Griffith Park. It has also become somewhat of a celebrity of its own, iconic for the stunning views and “wisdom” that hikers leave behind under the tree. And by that I mean you’ll find a plethora of notebooks filled with journal entries from fellow hikers who have shared their own personal stories and advice. The tree even has its own Instagram account for crying out loud (with way more followers than I’ll ever probably have). So you know a tree is a big deal when social media comes into play. Let the Wisdom Tree Hike commence! 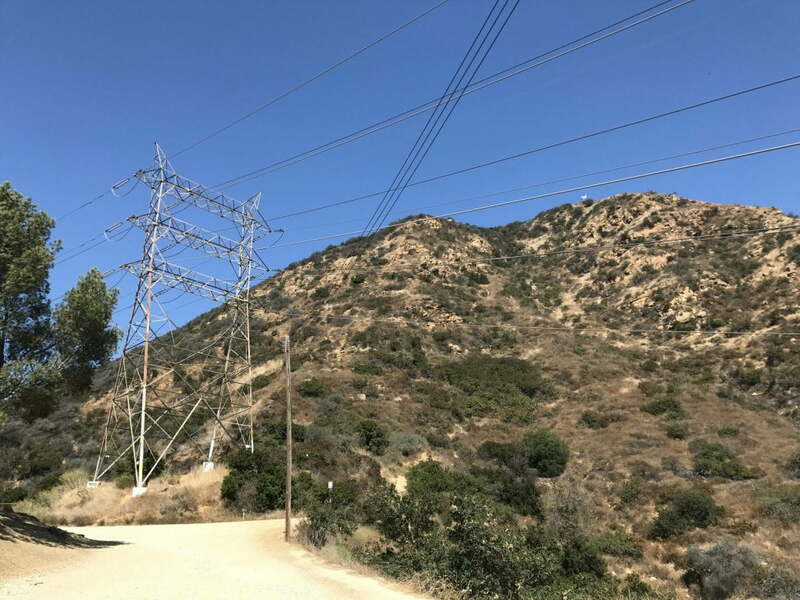 I park my car in a flourishing neighborhood at the intersection of Lake Hollywood Drive and Wonder Drive and proceed on a 10-minute walk up to the beginning of the trailhead. You’re going the right way when you pass this yellow gate. You know this hike is bad news when the walk itself starts on a relatively steep incline. In other words, I had to already catch my breath before the actual trek even began. I notice a small spec of a flag perched atop an intimidating hill, causing a mild amount of panic to ensue within my already fatigued state of mind. Yeah, steep is an understatement, but I’ll complain about that later. I make my way up to a wide viewing area, which overlooks the south side of Burbank. The incline starts on sandy terrain with a couple of wooden logs to act as steps, foreshadowing the hell that I’m about to embark on. I’ll find inner peace when I complete this godforsaken hike already. This is so far the steepest hike I’ve climbed; Just watch out for the disjointed rocks. But I guess I can’t really complain too much since the views are quite stunning. (You’re facing south, toward downtown Los Angeles). The trail never really lets up, so you’re on a steep incline for the entire .8 mile duration. 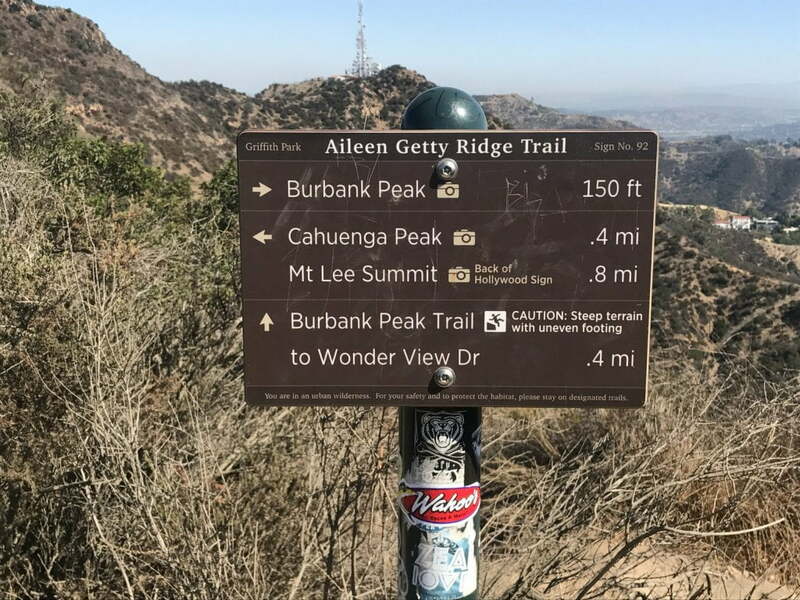 I eventually reach a fork in the road, stumbling upon a new trail: The Aileen Getty Ridge, which connects the hike to the back of the Hollywood Sign and the trek to the Wisdom Tree. I plow forward, determined to witness this supposedly iconic tree. And in case you’re wondering: Yeah, it deserves its celebrity status. I mean, just look at how beautiful it is. 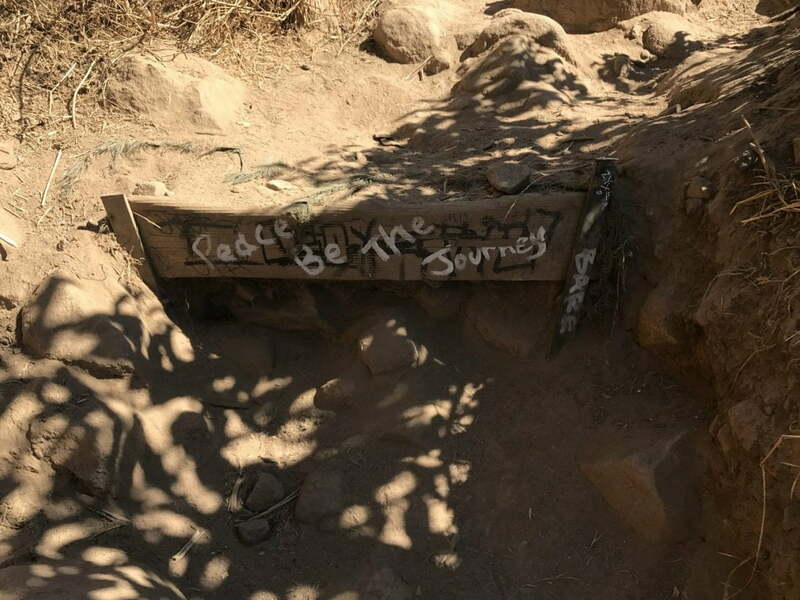 The best part was perusing the various forms of “wisdom” that past hikers have left behind. You see, under the tree were some boxes filled to the brim with notebooks, cards, and scraps of paper, each representing a person’s story, advice, or a good old-fashioned joke. 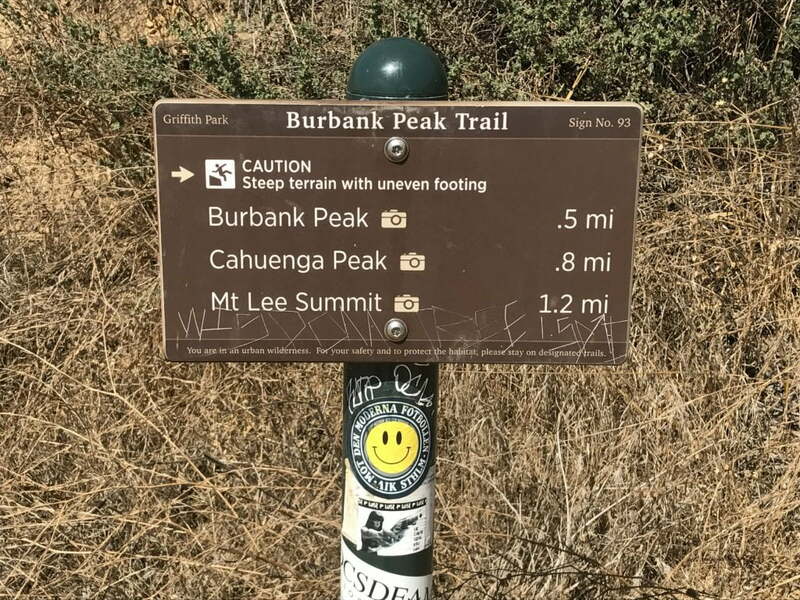 Anybody who makes it to the top of Cahuenga Peak gets to share their own story or “wisdom” for other hikers to see; It’s like a right of passage for hikers (just bring a pen)! I sat on the log in front of the Wisdom Tree, reading through various stories like a bookworm in a library. Luckily I found an old pencil within the contents of one of the boxes, which means the time has come for me to share my secrets with the world. I find an empty page within a notebook, jotting down some personal wisdom that I thought might help someone. Well, you’re going to have to climb the hike like everyone else to find out! And don’t worry, I signed my name on the page so you’ll know it’s from me. Within the branches of the tree were some dreamcatchers as well (now there’s something I haven’t seen since middle school). There were also a noticeable amount of empty beer bottles and…a cake (We had to bring offerings)?! I turn around to notice the same American flag that I saw from the initial start of the climb. 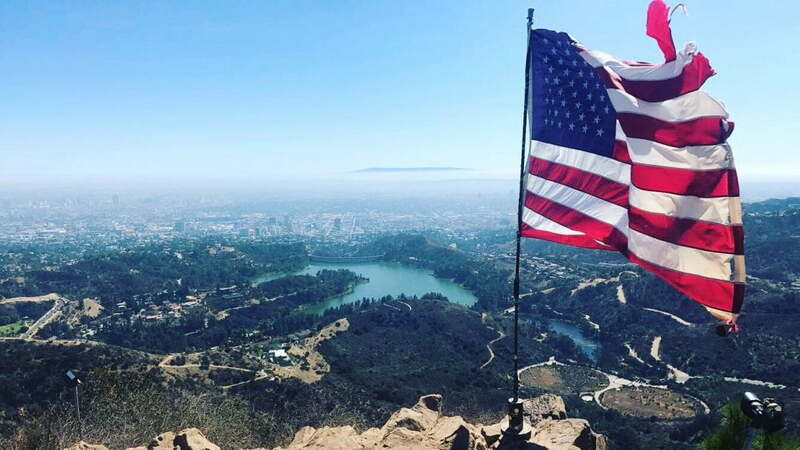 The flag stood proudly above the gorgeous Los Angeles landscape, upheld by the gentle winds of the warm skies. “I can’t believe I made it up here in one piece,” I thought, feeling proud that I overcame the initial intimadating feeling I had upon the ascent of the hike. Several rocks surrounded the perimeter of the flag as well, stacked upon eachother for reasons unknown to me. A commemoration of the fallen, perhaps? 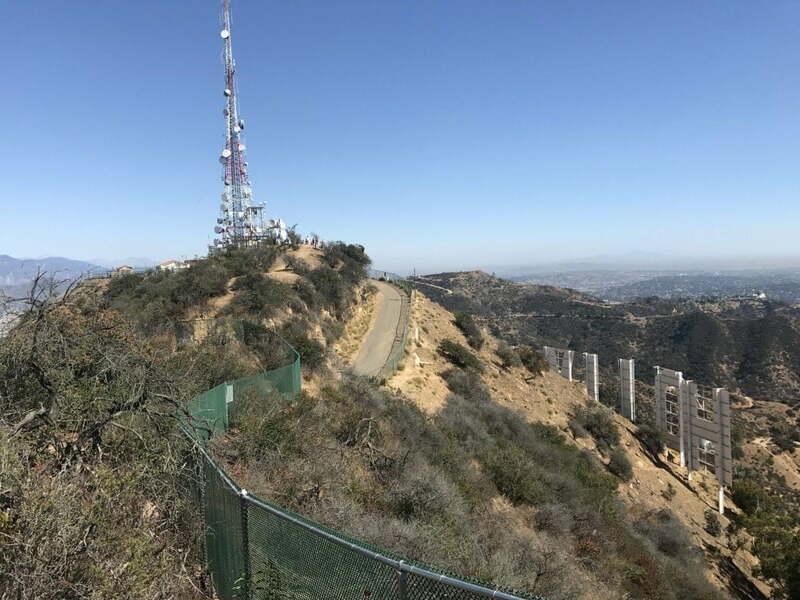 Considering the fact that it hasn’t even been a full hour since I’ve started the hike, I decided to make use of my time out here and check out the Hollywood Sign, again. I make a beeline towards the Aileen Getty Ridge Trail, which leads to the Mount Lee Summit. 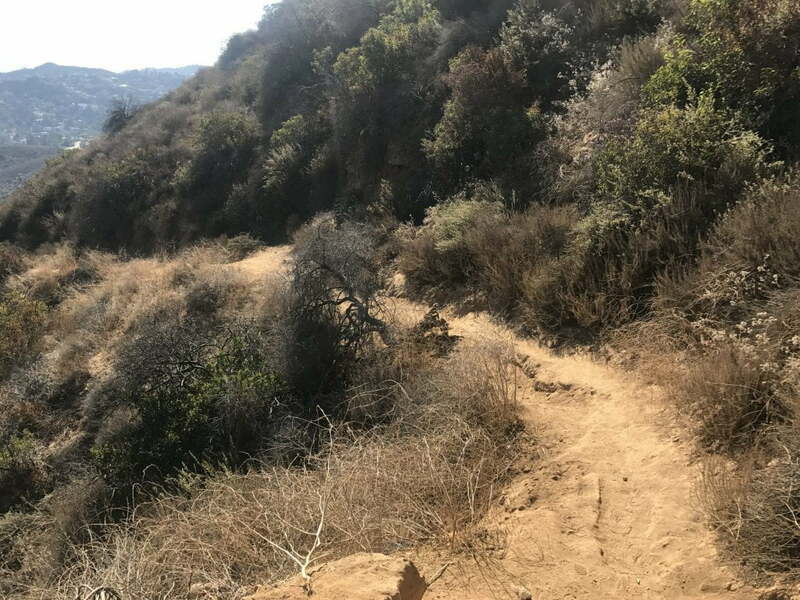 The trail leading up to the back of the Hollywood Sign starts off fairly tame but quickly slaps me in the face with a sharp mix of ups and downs within the climb. After ducking my way through some tree branches, I come across the first descent with a very steep drop off. In fact, your going to have to get down and dirty through reverse-style rock climbing if you want to make it through this trail. 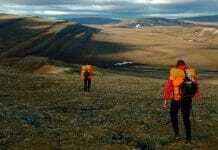 I carefully climb down several large rocks to a continuation of the steep trail that levels off after about 200 feet. But the time to celebrate quickly drew to a close as the same trail quickly ascends up to a small hill, requiring more rock climbing on my part. 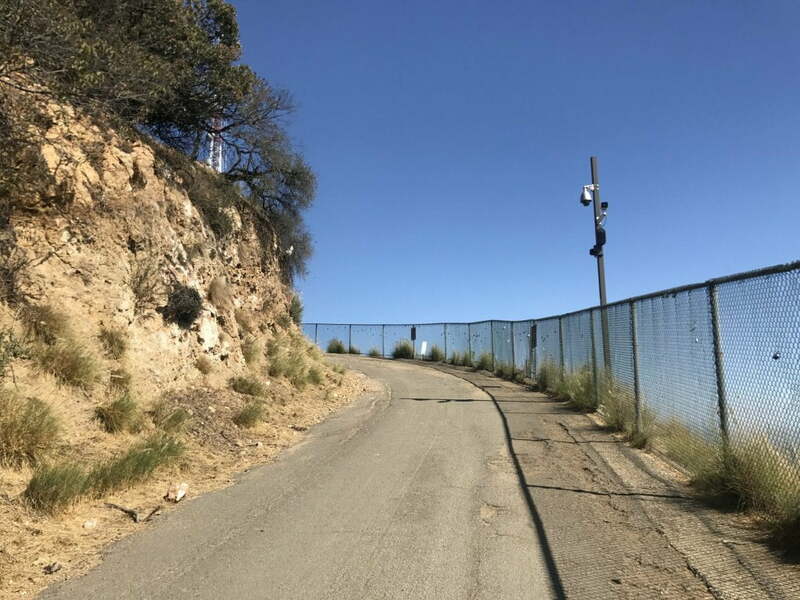 So in a nutshell: The hike to the back of the Hollywood Sign is very hilly. This one commemorates Hugh M. Hefner. 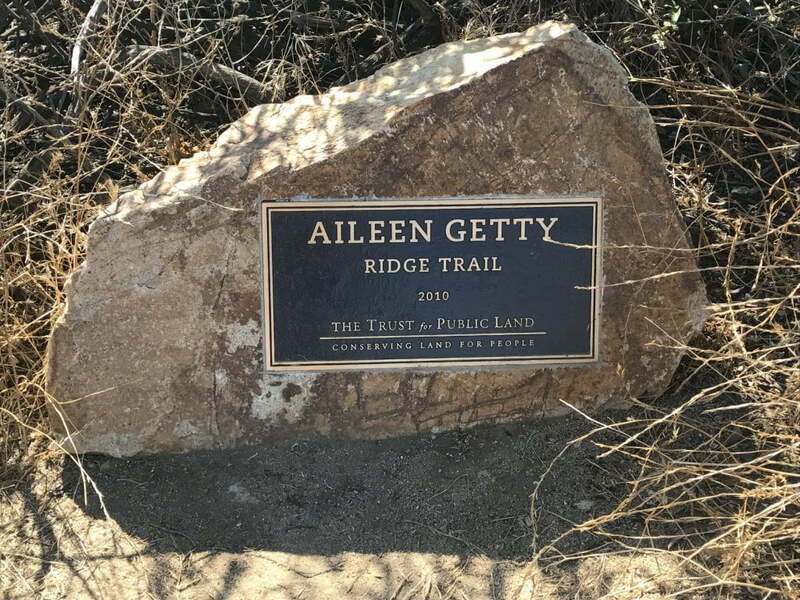 While this one commemorates Aileen Getty. 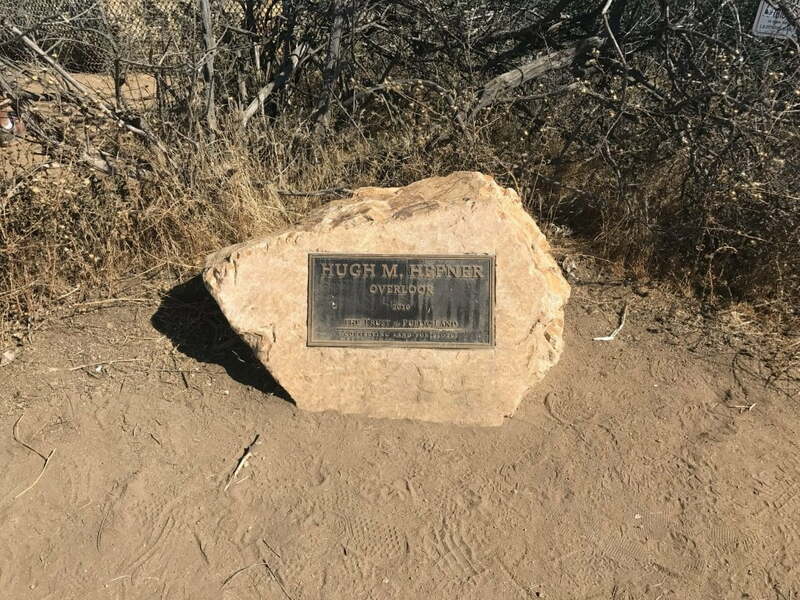 Why can’t I have a hike named after me? 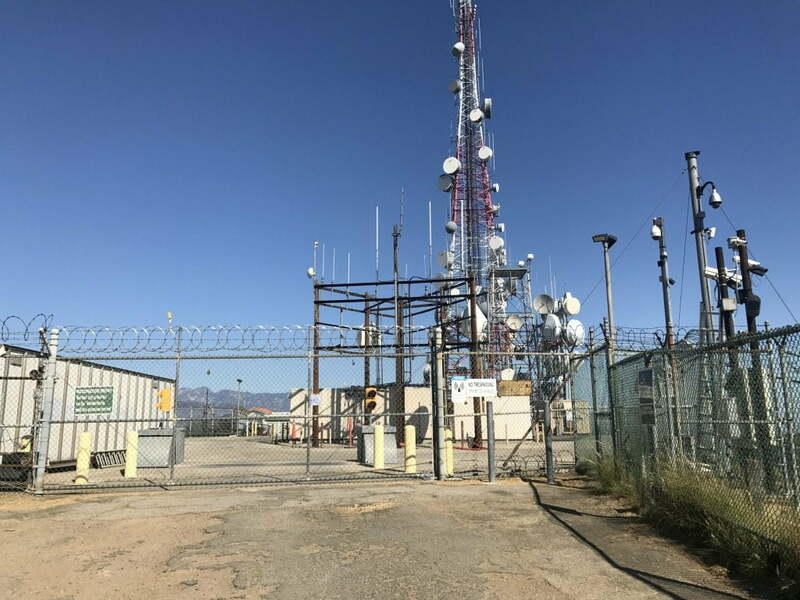 The trek to the sign is only a short .2 miles up with a fenced border that appears to be garnished with several hundred locks. 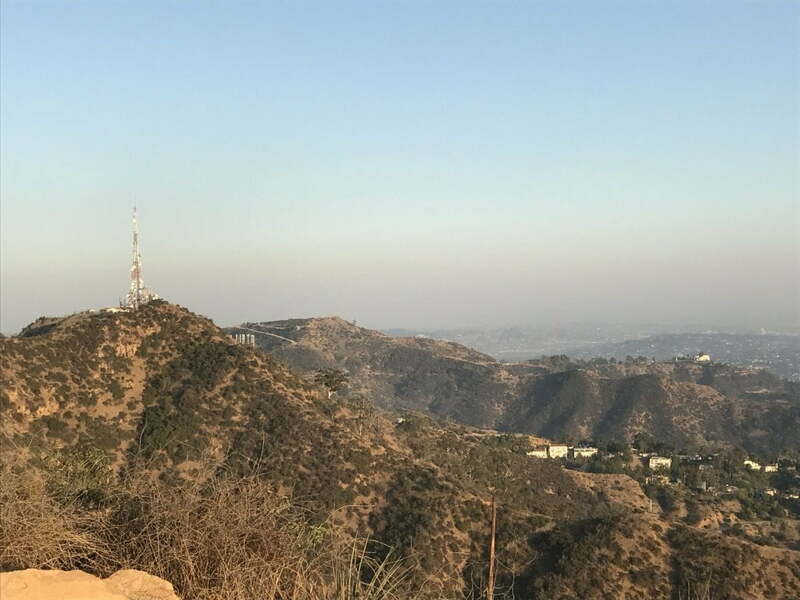 I finally make it to the back of the Hollywood Sign, feeling slightly exhausted, but proud of myself that I endured yet another hike. It was pretty surreal to see the perspective of Los Angeles from arguably the most iconic landmark of all time. The famous sign is heavily guarded with 24/7 surveillance, so it’d be wise not to jump the fence. As far as I know, this is the closest you can physically get to the sign itself, so there’s something to brag about to your friends. If you turn left near the guarded tower, you can walk up a small hill to gain a better vantage point. My muse; The way the city lights up at night could not be more breathtaking. After spending a considerable amount of time being hypnotized by LA’s beauty, I decide it’s time to double back to my car. I descend back down the cemented road to the same fork that leads back toward the Wisdom Tree. But I was curious to see where the cemented road leads, and what kind of views it could offer. And so I begin my trek down this path. But don’t worry, it was very short-lived once I realized that this never-ending road was going to take forever to descend upon. I didn’t have the energy to hike almost 4 miles to a place I’ve been to a thousand times. (That’s a tad bit of an overstatement; I’ve actually been to the Observatory five times). So I finally decide it’s time to call it quits. I turn back around and ascend up the cemented road, noticing a lack of hikers in the area. In fact, I was the only one dumb enough to even think about descending down toward the Observatory. 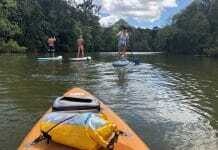 Which by the way, the road is very steep so have fun with that. I proceed back toward the first fork in the road and descend into the forested hills. 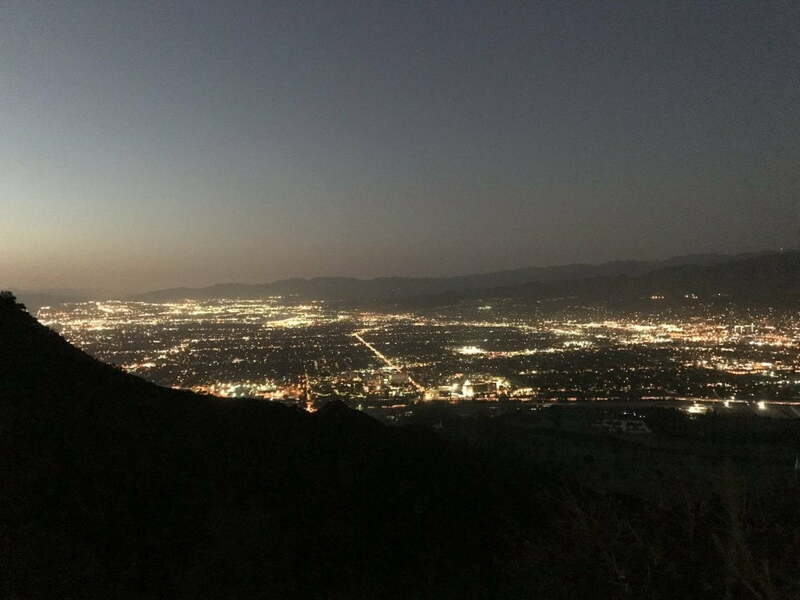 Just to reiterate, I’ve done this hike during both day and night, and I’m pretty sure I saw a mountain lion on the way back during the night hike. I continue to make my way through the rolling hills, going up and down like a detached rollercoaster. Rock climbing when it’s dark out can get tricky, plus the wildlife tends to come alive during these hours, and stepping on a snake isn’t exactly how I would want to spend a Saturday night. 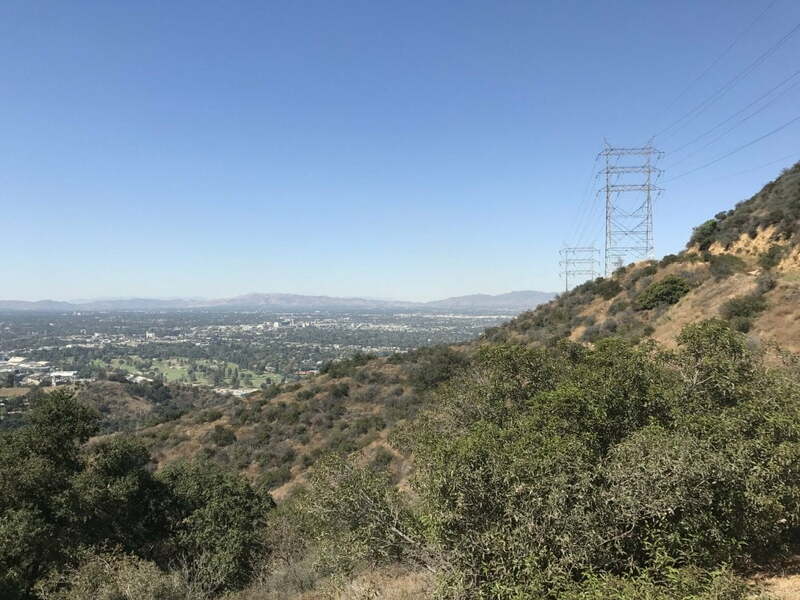 (If you want to read about how I got lost in the woods because of my low flashlight battery, check out our Murphy Ranch Trail Adventure). 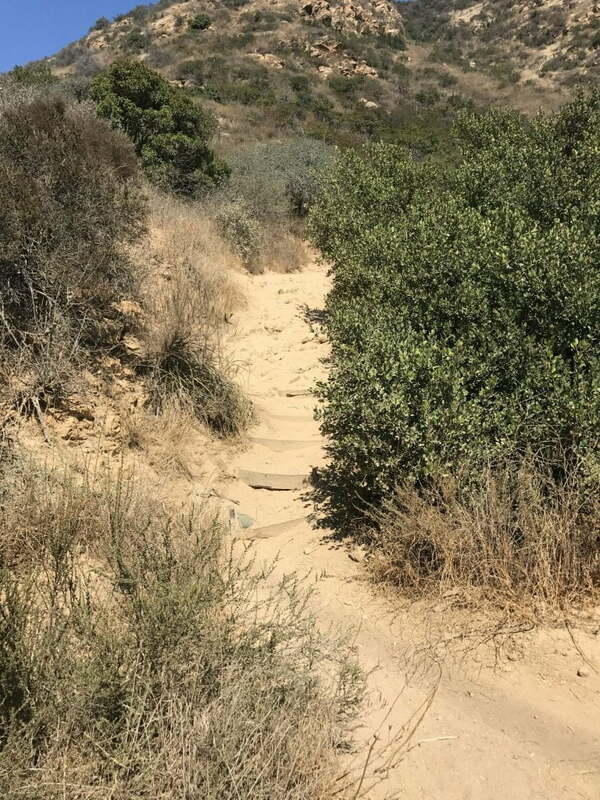 I eventually reach the second fork in the trail, turning left to begin the steep descent towards the beginning of Cahuenga Peak. Warning: This hike is very steep going down, especially with the slippery terrain and disjointed rocks. Luckily going down didn’t take too long, so after about 15 minutes, I finally reached the end of my trek; Freedom at long last! Time spent on the roundtrip hike: About 3 hours (I could have probably done it in 2 hours, but I stopped so many times to take pictures). From the base of Cahuenga Peak to the Wisdom Tree: About 35 minutes. Hiking from the Wisdom Tree to the back of the Hollywood Sign: About 30 minutes. 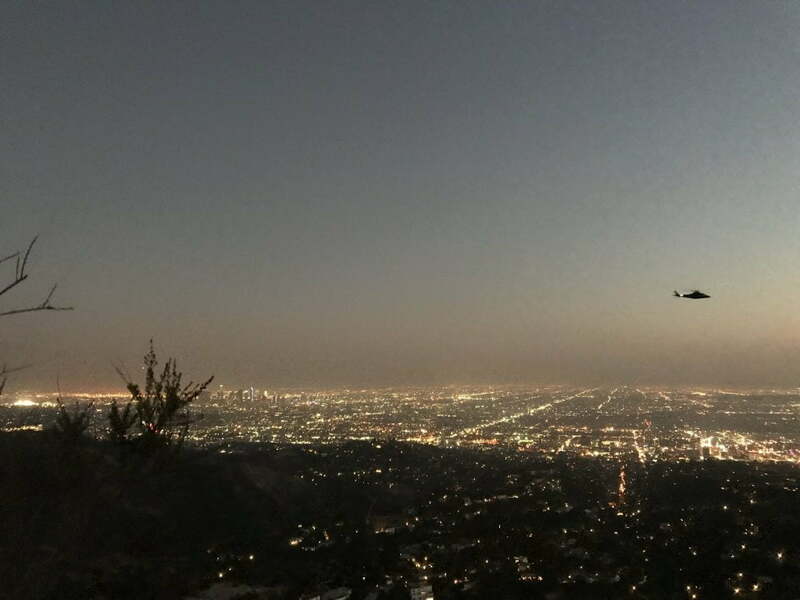 Most people focus on the more prominent aspects of Griffith Park with the obvious draws of the Griffith Observatory and the front of the Hollywood Sign. But there’s an entire backside of the park that even LA natives don’t know about, making the hike its own hidden gem. I read about how difficult the hike is and I’d definitely refer to this as a Stairmaster from hell. And the fact that I could contribute to this box felt like I did a good deed for society (kind of). 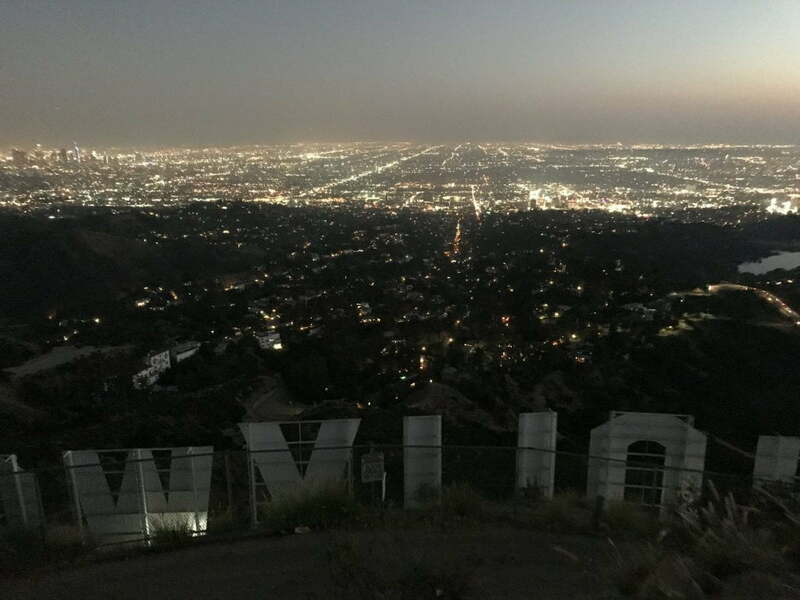 The vantage points of LA from the back of the Hollywood Sign are some of the best views anywhere. Seriously, watching LA light up at night is worth the congested traffic and high rent. Don’t be afraid to get a little rough during a hike, that’s where most of the fun comes from! Beyond Griffith Park lies a hidden gem where LA natives frolick. A place that has gained enough social media traction to label itself as iconic. A quaint setting where you can feel inspired and pass your knowledge off to the next generation. A challenging trail beyond all those tourists. 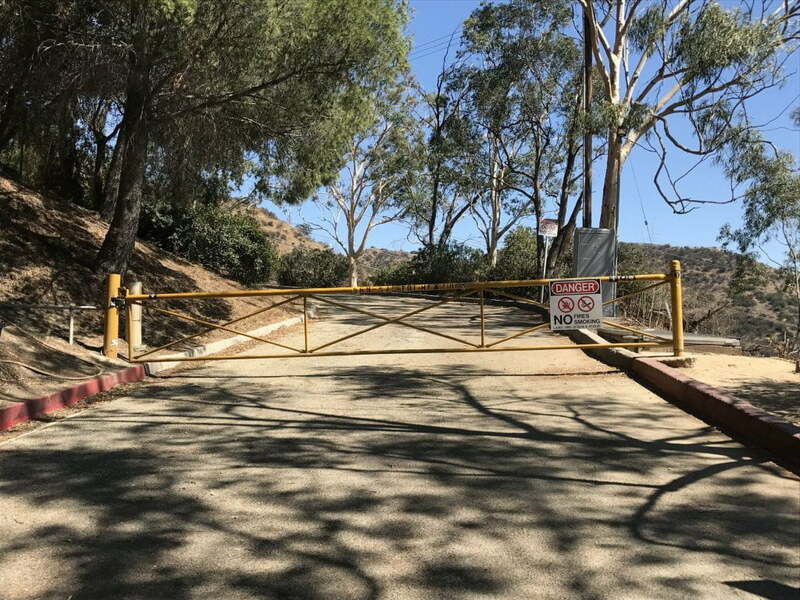 Welcome to a behind-the-scenes look at Griffith Park. 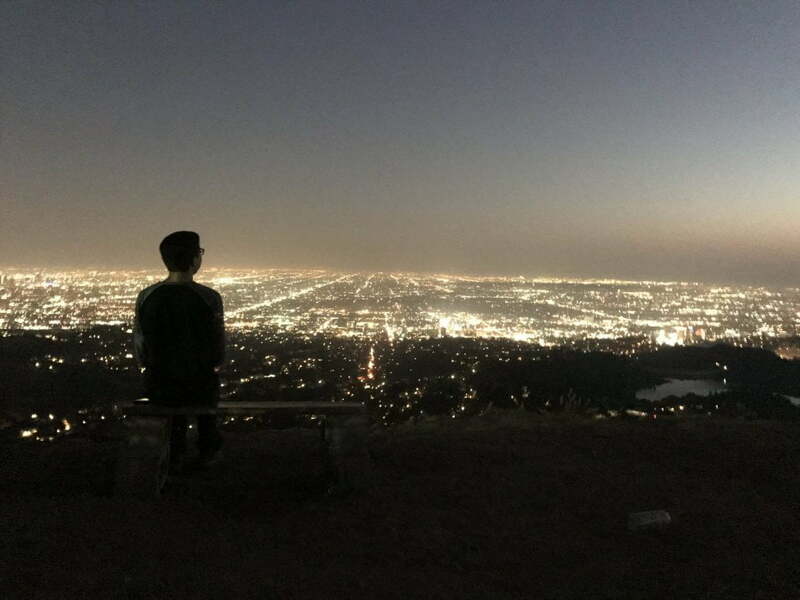 Question: How long does it take to hike to the Hollywood sign? 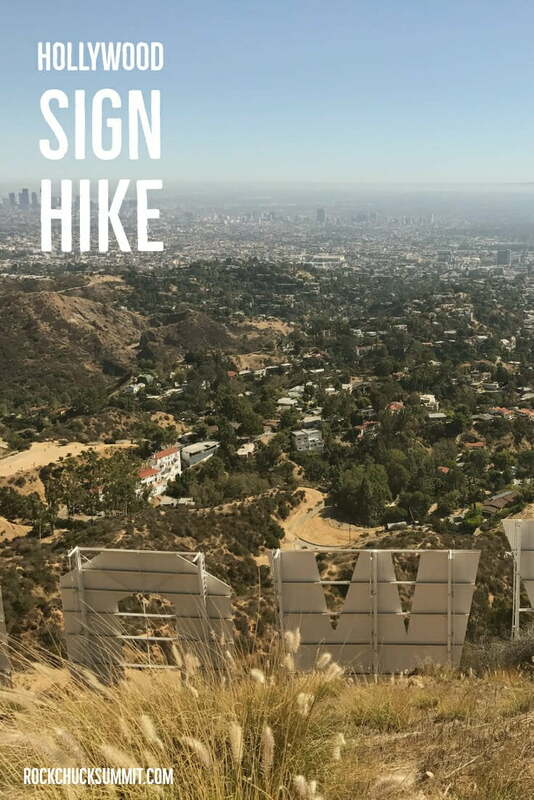 Answer: The Hollywood Sign hike took about 2 hours. Include more time for your hike to enjoy the views and scenery. Question: How long does it take to hike to the Wisdom Tree? 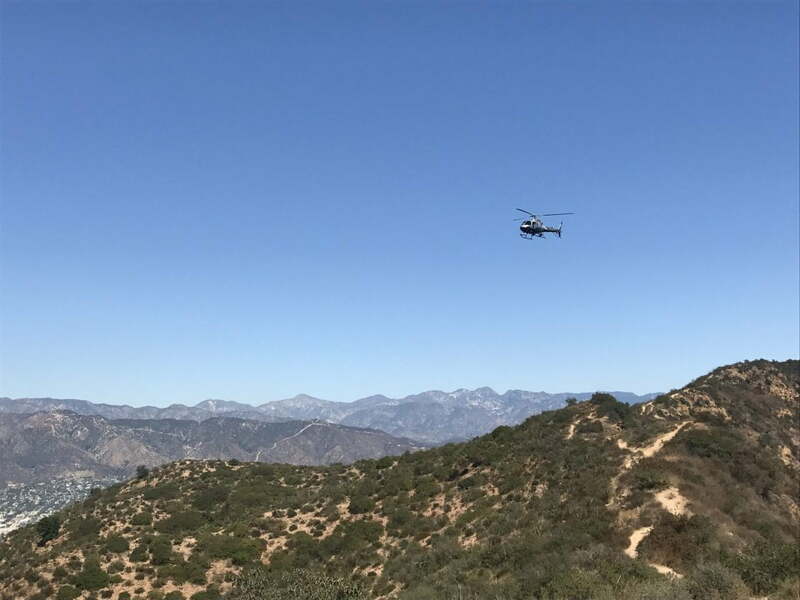 Answer: About 35 minutes at a brisk pace from the base of Cahuenga Peak. Thanks for Joining us on our Hollywood sign hike! Please leave your comments, reviews, and feedback below! Next articleI have a dream – Remembering Martin Luther King Jr.